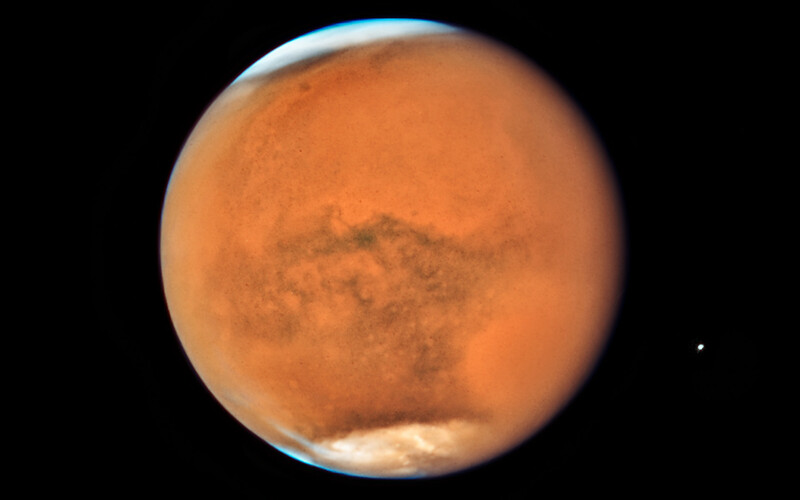 Each Martian year, moderately large dust storms cover continent-sized areas and last for weeks at a time. 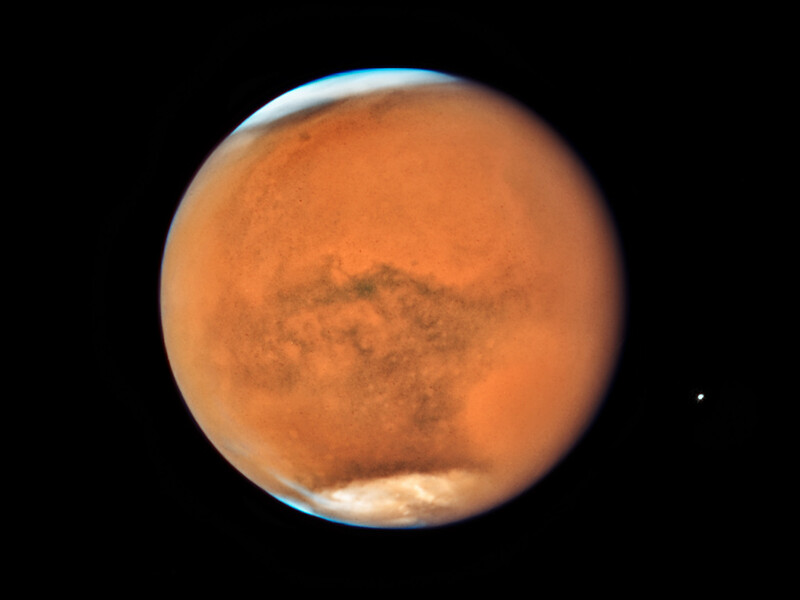 Global dust storms — lasting for weeks or months — tend to happen during the spring and summer in the southern hemisphere, when Mars is closest to the Sun and heating is at a maximum, leading to greater generation of winds. 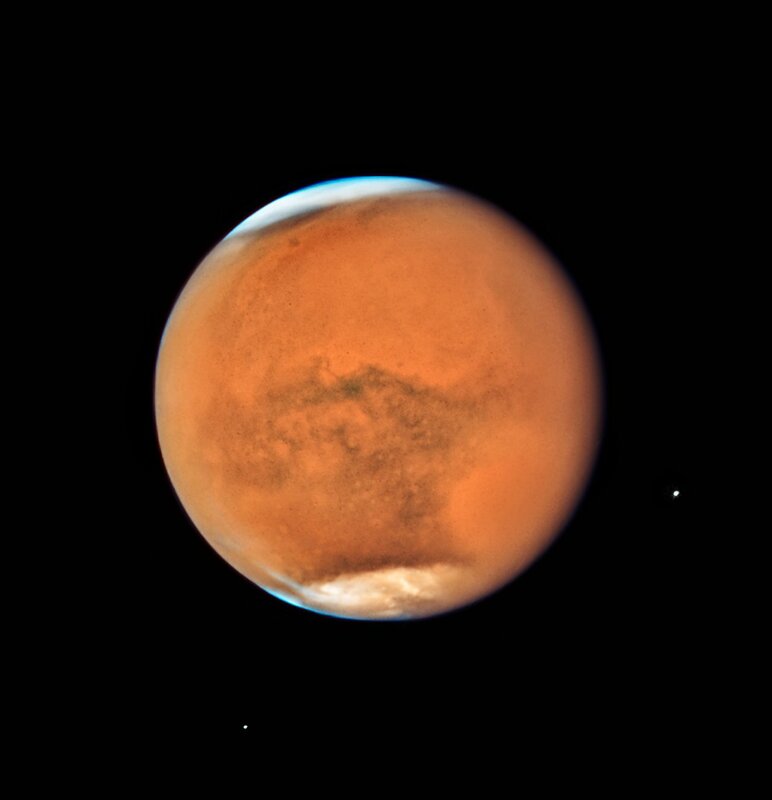 While spacecraft orbiting Mars can study the storm’s behaviour at lower altitudes, Hubble observations allow astronomers to study changes in the higher atmosphere. 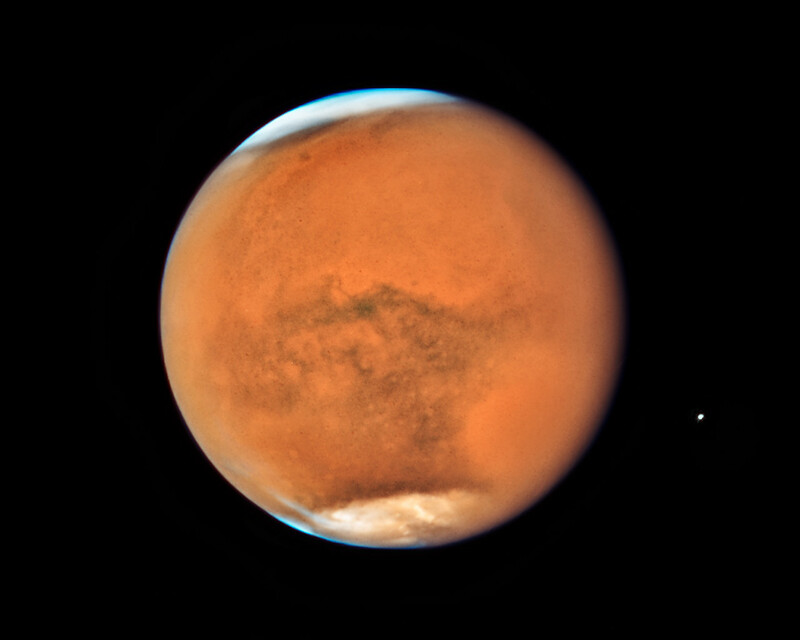 The combined observations will help planetary scientists to build a better understanding of how these global storms arise.